Audiences in Andhra Pradesh were surprised to see their favourite star Prabhas in a comeo role in Hindi film 'Action Jackson.' His role was kept a secret by the makers of the film and it paid off. Movie buffs in Andhra Pradesh were in for a surprise when they went to watch Ajay Devgn's Hindi movie "Action Jackson" on Friday. 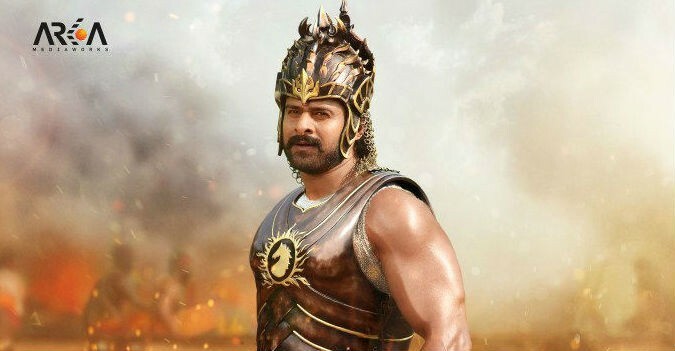 Reason: They didn't knew that Telugu star Prabhas has done a cameo in the Bollywood flick. The makers of "Action Jackson" had kept his role a secret and it seems to have paid off. Viewers, who could not react instantly, were seen blowing whistles and cheering for the actor in theatres. They were all praise for his electrifying presence in "Action Jackson." His fans also took to Twitter to express their excitement. In the film, Prabhas also dances alongside Sonakshi Sinha. "Action Jackson" is a remake of Telugu blockbuster "Dookudu," which starred Mahesh Babu and Samantha. In the Hindi version, Ajay Devgn and Sonakshi Sinha play the lead roles. It is directed by Prabhu Deva and produced by Gordhan P Tanwani-Sunil Lulla. The original version had set the box office on fire; one needs to wait and see whether the Bollywood version can do the same magic. However, "Action Jackson" has opened up to negative reviews. Many critics point out that the film will appeal to Ajay Devgn's and Sonakshi Sinha's fans only. Nonetheless, the Hindi film has got a good start at the box office. On day one, it grossed approximately ₹12 crores at the box office. Coming back to Prabhas' role, his fans just won't stop tweeting. Below, we bring you some of the select tweets. Didn't expected! #Prabhas special appearance in @AJTheMovie movie!! #Prabhas guest appearance in #ActionJackson. He is one of my favorite south star.God bless him always.